The film is as good as the book, stunning, and obviously has Ishiguro’s blessing. We managed to get tickets for the special pre-view of the film in our local (Norwich) cinema which showed the film and then had a link-up session in which Ishiguro and the script writer Alex Garland answer questions after the show. The movie is stunning and a fairly close adaptation of the book. 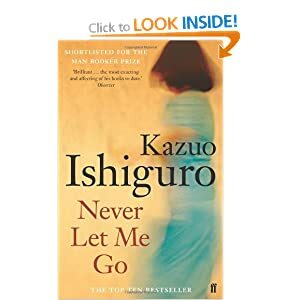 Ishiguro explained his ideas behind this science fiction story of two girls and a boy growing up in a very English looking and feeling boarding school, until it slowly becomes clear that not all is as it should be. Whereas in the book you are almost halfway through when you begin to understand the setting a bit better, in the film this has to happen quite quickly, otherwise it would become too long, even tedious. 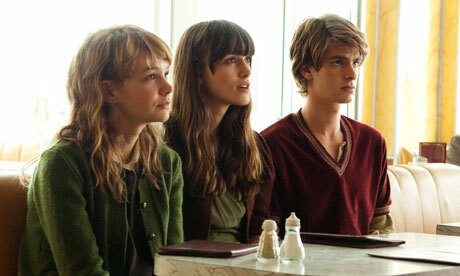 And it never becomes boring, the film is breathtaking, with this sense of inevitability and ‘completion’. The film is out on 11th February – go and see it, whether you have read the book or not. The audience, in a completely full cinema, was absolutely silent, not a whisper, there was sheer absorption in the unfolding story. I enjoyed the follow-up q & a session and will definitely try to get access to some more of these pre-viewings, if they come up. Glad I am a member of this cinema club! Although I had intended to reread the book I never got round to it, and will wait now. I’ll probably try to see the film again, or the dvd.